Kodak Super 8, The positive and the negative. Anyone who uses super 8 film these days, might still be reeling from Kodak's double-edged announcement in December 2012. 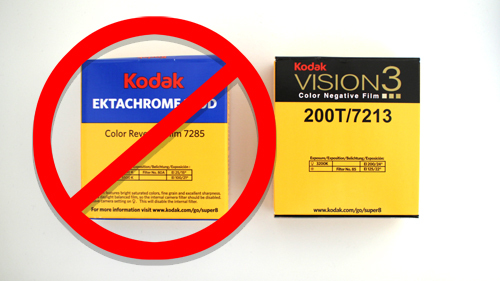 On the same day Kodak announced a NEW super 8 stock would become available (Vision 3 50T negative film); but also that their existing Ektachrome 100D would be withdrawn. This is a really big deal for people using the format. 100D was the last colour reversal film from Kodak, so now only colour negative films are on offer. This is the end (at least from Kodak) of positive film that can be watched on a projector once processed. It probably doesn't bode well for Straight 8 and similar 'single cartridge' and 8mm festivals either. Undoubtedly colour reversal in super 8 format is the gateway stock (i.e. the cheapest and easiest to process and use) for anybody wanting to try and shoot some real film. It should also be mentioned that all existing cine cameras are rated to work with 100D speed film; very few are rated to work with the film speeds in the Kodak negative range. Like it or not, anyone who wishes to buy Kodak film from now on will be buying negative film stock. For me, this is new territory, I'll need to find out how my camera might work with this stock. Also, processing and telecine options are greatly reduced too. In short, thanks to Kodak, super 8 just got a whole lot more difficult and inevitably more expensive to use. There are apparently some advantages to negative film, we should expect better latitude, smaller grain and maybe even sharper pictures; the Vision 3 stock is the very same film used on professional motion picture production in the larger formats. For those willing to persevere (and spend more) there could be image quality benefits to be had. I've just bought some Kodak 200T negative stock, and I'll try it out, maybe I'll try the new 50T too (when it becomes available here in the UK) but I can't help thinking that this change will on the whole reduce the user-base for super 8 film. I'm thinking long and hard about the price implications of buying, processing and scanning film. I think this announcement will further hasten the demise of the format, so maybe it's time to enjoy using it while we still can. Over the last couple of years I've been shooting super 8 film around my home town; the North London suburb of Enfield. I was greatly inspired by the 1960s-1980s travelogue films of Harold Baim and it seemed fitting to use real cine film to get this sun-tinted, picture postcard look. Tech Notes: This film was shot on Kodak 100D reversal super 8 film. I shot five rolls between 2011 and 2013. This was shot on my Nizo 156XL camera using a Panasonic LA7200 anamorphic lens adaptor to achieve the 16x9 footage. The film was sent to Andec Filmtechnik in Berlin for processing then to 18-frames.com for cine to data HD transfer. Now these are tiny, the hole in the centre of these is only 2mm in diameter, so you get some idea of just how tiny these are. I wanted to test the process with something small. Well I'm pretty impressed these came back, with all the features intact; maybe without the sharpness in definition I had hoped for. 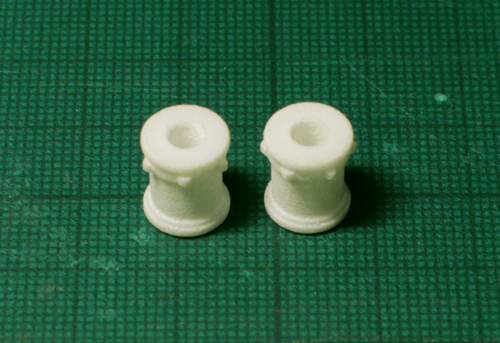 There 's no sign of the layering effect one sometimes sees in 3D prints, but there is a 'grainy' or slightly 'powdery' feel to these; they aren't smooth to the touch. Ok, these just don't seem to engage the film sprocket holes at all. 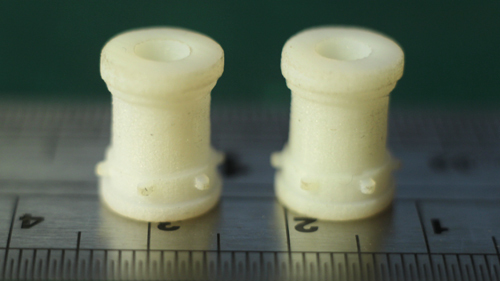 It seems the 3D printed sprockets are just too big and fat to fit in the holes... However, I've just noticed that Shapeways offer a 'fine detail' plastic material that's 'slightly shiny'; that sound more like what I'm after. 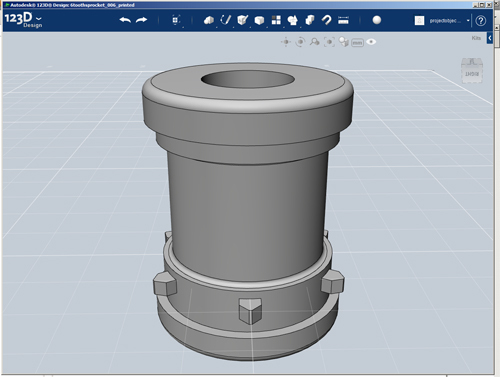 I think I'll redesign a bit on 123D Design and send off another print job soon. On October 26th last year I posted the first of the Futura Gold films to YouTube. The first episode (seen here) has just hit 3000 views. The subsequent two films, nothing like so many. Releasing some work in a series was something of an experiment really, just to see if this idea might gain some momentum. The curve isn't really heading the way I'd hoped, so I'm taking a little time off this project. I'll work on a few other things and take stock for a while. Well, there it is! 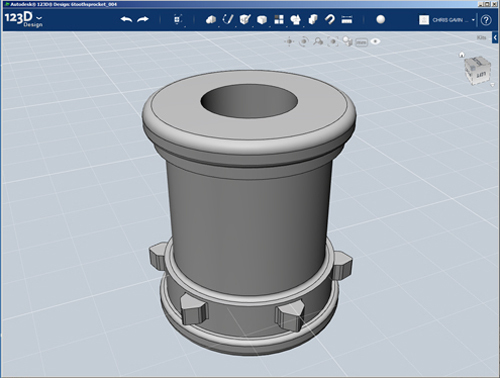 This evening I designed this small sprocket wheel in Autodesk 123D Design, a free and very basic solid modelling application, available here. Why did I choose to make this for my first foray into the future of manufacturing? Well, it's small, simple and if it works could become a little cog (quite literally) in my ongoing DIY film scanning endeavour. That's if it comes back and engages the film properly. I've referenced the SMPTE super 8 dimensions, so I've got to hope it will. 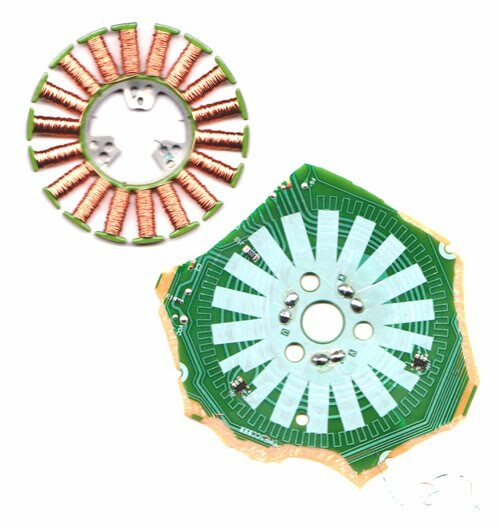 I'm keen to see if this method of design/manufacture will enable me to make the small pieces for this project with anything like the required precision. I spent some time this weekend tearing apart an old floppy and CD-ROM drive on the hunt for some components. The floppy drive is fast becoming a retro relic these days; the one I've just destroyed is probably dates from the early 2000s. I'm amazed at the precision engineering and precious materials that have gone into every one of these 'obsolete' devices ; and we so readily toss them away. Over the past few years I've been using a single stepper motor (from an old scanner) as a very basic motion control system for rotating objects under the camera. With a stepper motor controlled by the computer, it's possible to get really precise turnarounds of small objects and models, and I've used this technique quite a lot in my film-making work. For example, the rotation of the Simon's Cat Earrings was shot this way, as were many elements for the Canongate Book trailer films I made in 2011. I've just completed work on another video for Simon's Cat Ltd. Making Simon's Cat: Earrings went on line today on the Simon's Cat Extra channel. This is a short 'behind the scenes' style film showing the production of some rather special silver Simon's cat earrings. The film follows the story of the manufacturing process from initial design, through sculpting and casting and on to the final checking and presentation of the final product. It's notable that these earrings are hand-made and cast from silver, all in the UK. The earrings along with other Simon's Cat products can be purchased online at the official webshop.